Zoom in, zoom out. What the freak is that?!!! Is that Mars’s surface? Or some funky fruit? What is that? Zoom out please! An imprint from my camera on my leg. 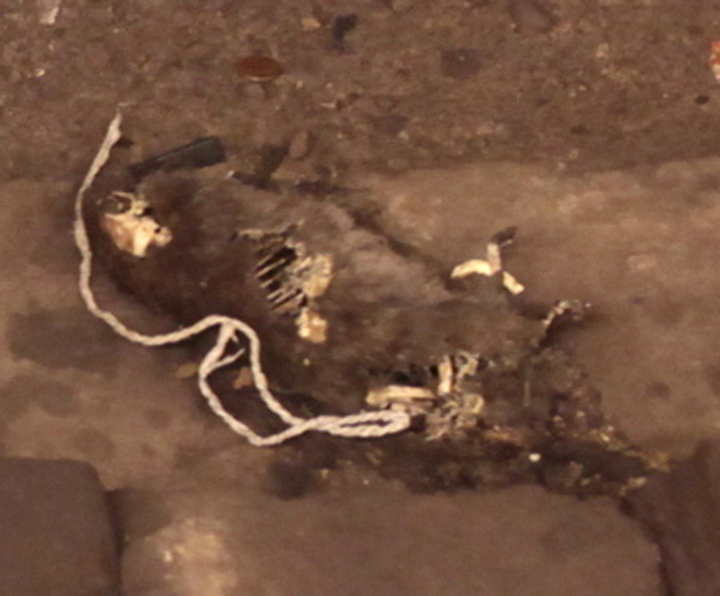 Get the Vaseline please! 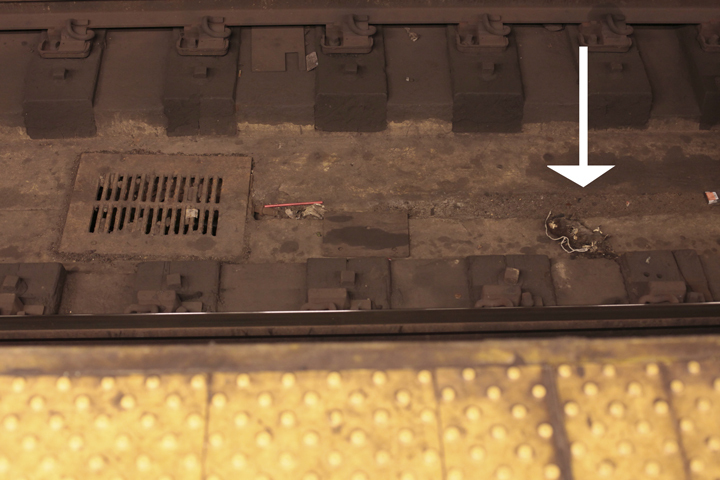 I hate litter on the subway, especially on the tracks. Don’t you people know it’s dangerous and litter can cause fires? What is that?!!! Sad. 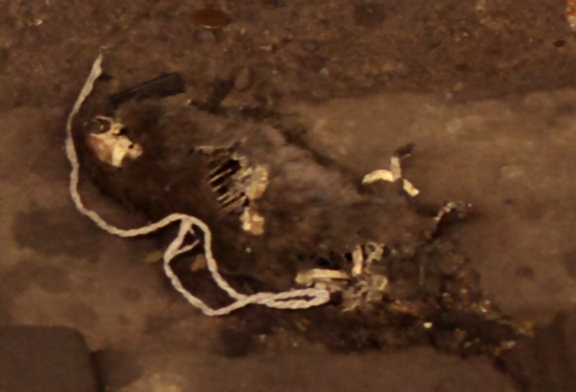 Decaying rat with visible skeleton. Fun fun fun with the 5D Mark 2!